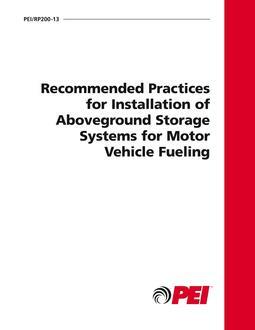 Recommended Practices for Installation of Bulk Storage Plants (PEI/RP800-13) provides a basic reference that consolidates published and unpublished information from equipment manufacturers, contractors, installers, bulk-plant facility owners, and regulators describing recommended practices for the construction of new petroleum bulk-storage systems. The document applies to underground, aboveground, atmospheric, and shop-fabricated tanks, associated piping, diking, spill containment, and equipment intended for the bulk storage and transfer of petroleum, biofuels, and related products to and from wheeled delivery-vehicle tanks. 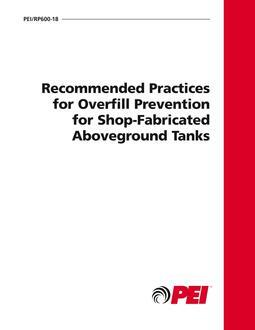 The recommended practices apply to single- and double-walled horizontal and vertical tanks, as well as insulated and fire-protected (resistant) tanks. PEI has written this document to help maximize system efficiency; prevent surface and groundwater contamination; minimize environmental hazards; reduce safety hazards and avoid practices that will needlessly increase installation costs.